Some radio shows go better than others, and sometimes the audience is more aware than at other times. According to my commentary below, this was a total disaster, but looking at the tracks played at least, it sounds like a pretty good show. Originally broadcast on Bay Radio. Tracks taken from the playlist (Total 12 tracks). A indicates A-list (8 tracks); B indicates B-list (2 tracks) and C indicates C-list (2 tracks). S indicates the Single of the Week. R indicates tracks taken from my own collection (Total 8 tracks). L indicates tracks I played with the general aim of impressing people (Total 7 tracks). 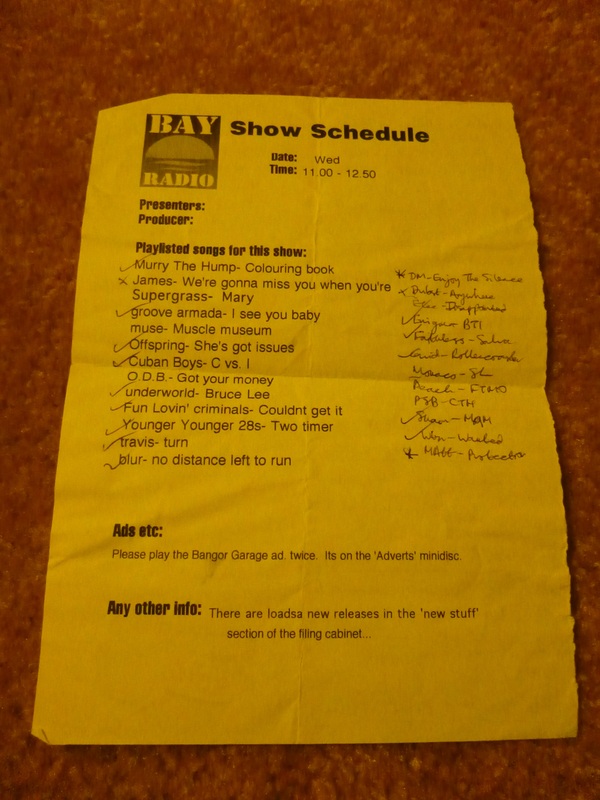 My second ever radio show took place fifteen years ago today, on Aberystwyth’s student radio station Bay Radio. It may be a little self-indulgent, but as a celebration, this is roughly what the show looked like. Tracks taken from the playlist (Total 12 tracks). A indicates A-list (6 tracks); B indicates B-list (3 tracks) and C indicates C-list (2 tracks). S indicates the Single of the Week. R indicates tracks taken from my own collection (Total 10 tracks). L indicates tracks we grabbed at random in the vain hope of impressing people (Total 8 tracks). Notes: Went very badly on the whole, which is a nuisance. That play button on CD1 is annoying, and it wasn’t just my tools that went wrong – I did too. Still, on the whole a slightly better flow, with a slightly more normal amount of chatter. On 26th February 2001, the presenters Ant and Dec took over to present the BRIT Awards at Earls Court in London. This post is part of a series about the history of the BRIT Awards. You can read about the 2000 ceremony here, and the 2002 ceremony in a couple of days’ time. Of these, the winner of each category and the most voted for act overall were carried through to the list of final nominees. The award was presented by Sarah Cox and Pete Tong. We continue. Presented by Noel Gallagher from Oasis. Edit, 6 Aug 2018 – removed U2 performance video which no longer works. In 1999 Johnny Vaughan took over as the host at London Arena. The ceremony took place on 16th February 1999. This post is part of a series about the history of the BRIT Awards. You can read about the 1998 ceremony here, and the 2000 ceremony in a couple of days’ time. Winner: Titanic. Collected by Celine Dion. Winner: Jubilee 2000. Collected by Bono from U2. Girl power and all that. 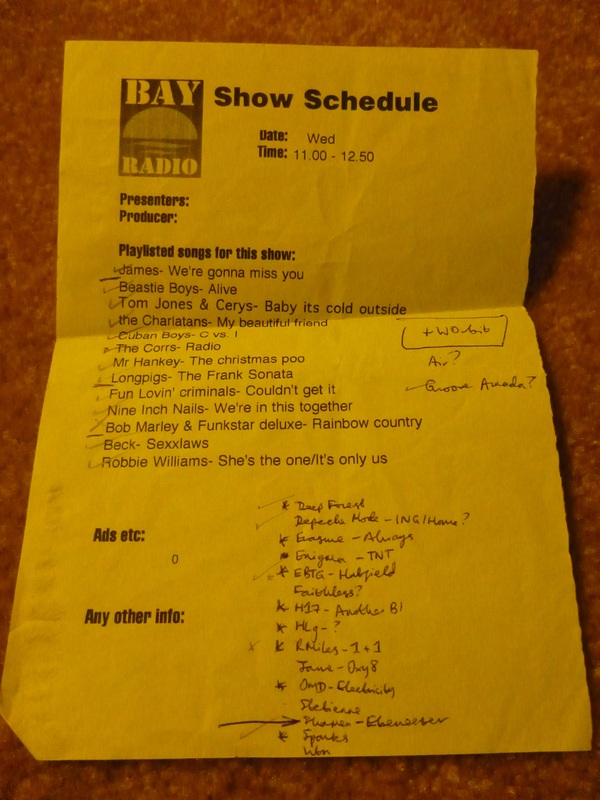 Ben Elton took the reins at Earls Court on 24th February 1997. This post is part of a series about the history of the BRIT Awards. You can read about the 1996 ceremony here, and the 1998 ceremony here. Spice Girls – Wannabe / Who Do You Think You Are? November 4th 1997 saw the eighth Q Awards ceremony. Here are some scans of Q Magazine’s coverage from January 1998. Here’s a picture of Danny Baker pointing at Chris Evans. November 1998 saw the ninth Q Awards ceremony. Here’s a picture of Debbie Harry after, and here she is before, wearing some razor blades. Here she is again, looking less surprised, and here she is with her friends.